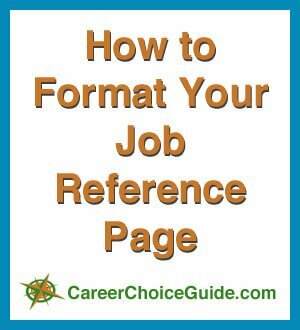 Here's a simple trick for formatting your resume reference page so it looks like a pulled-together, professional document, plus, a template to show you how to set up your own page, and tips to ensure your references make a great impression when an employer calls. The best and easiest way to set up this document is to simply match it to the structure of your resume. Use the same font you used on your resume. Be consistent with headlines. Keep them the same size and style as the headlines on your resume. Most Important - Ensure that the header at the top of the page (where you put your name and contact information) matches with the header on your resume. Imagine your resume was structured like this sample on the right. Notice the job seeker's name and contact information is formatted in a header that is centered on the page. The headings are bolded and in all capitals. 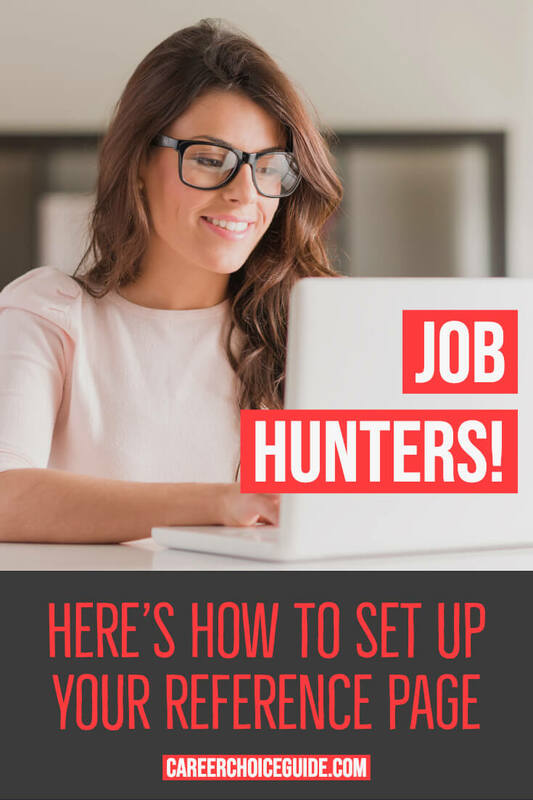 To created a set of job search documents that look like a pulled-together, professional package, you simply need to carry the same style through to your resume reference page. Notice that the job seeker's name and contact information on the reference sheet matches the resume exactly. 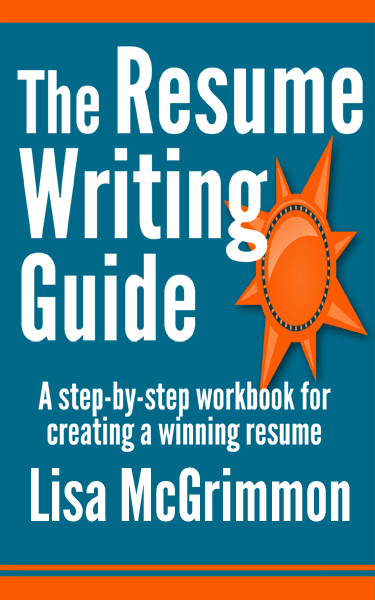 It was simply copied from the resume and pasted into a new blank word processing file to create the heading for the reference page. I have centered the rest of the information on the page. This is a personal, stylistic choice. I feel the references' names and contact information look more balanced when they are centered on the page, but if you prefer the look of left justifying your information, that is fine, too. 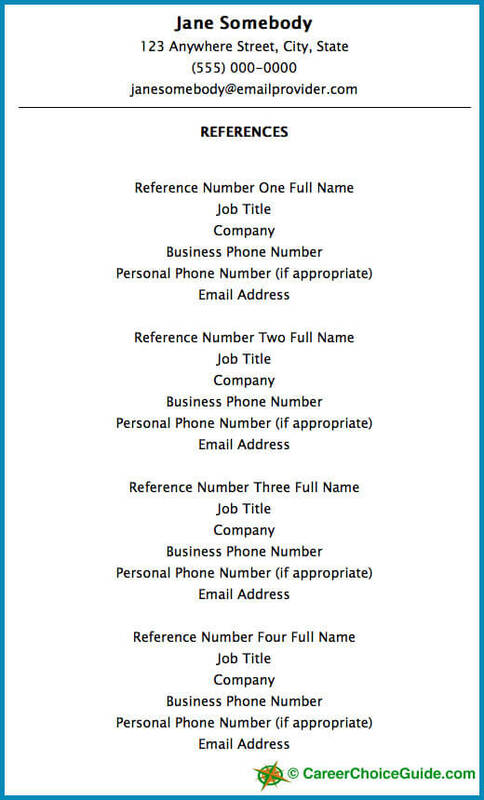 For each reference, you should include the person's name, job title, the name of the company where they work, their business phone number, their home phone number (only if that is acceptable to the person), and their email address. It can also be helpful to include a brief description of the nature of your relationship with the reference (i.e. you could note someone was Supervisor at ABC Company, or Office Manager at XYZ Company), but it is not necessary to include this information. What is Best - Land Line or Cell Phone Numbers? You may provide either land line numbers, or cell phone numbers, or a combination of both. Ask your references which phone number they prefer, and at which number can they be most easily reached. Be sure to respect each person's preferences. Often it's easier to reach someone on their cell phone, but it may be difficult for that person to find a quiet place to talk if an employer calls their cell. Also, some people who are not heavy cell phone users don't have voice mail with their cell plans, so they may miss an important call from an employer. In that case, a land line with a reliable voice mail system may be a better choice. How Many Names Should I List? Most employers want to call three people. Therefore, you should provide four names on your reference page. That way, if the employer has difficulty contacting anyone, there will be an extra person on the list to contact. Although most employers want to contact three people, you should always be ready with six references any at any point when you are job searching. That's right. I said six! I realize six sounds like an awful lot. Here's why you need that many people who are willing to provide a reference for you. When you list names and contact information on your sheet, always put your best reference at the top of the list. Employers may not always call all of the people on your list, and they usually start at the top. So, in order to ensure they call the best person, that person should be at the top of the list. Also, the first reference who is called will make the first impression and set the tone for the employer - Another good reason why you should put your strongest reference at the top of the list. 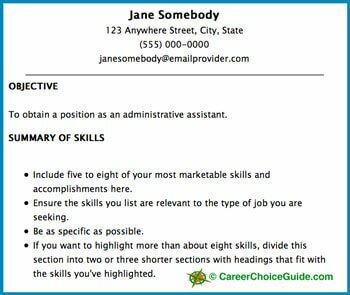 Now that you know how to complete this document you may want to take a look at how to submit your resume reference page at a job interview. If you're not sure whether a former employer will say positive things about you, or your company has a policy of not providing job references, you may want to know more about how to handle these special situations.